LANCASTER, Calif. - The JetHawks are still searching for their first win of the season after falling, 11-2, to the Lake Elsinore Storm Monday night at The Hangar. All nine Storm starters recorded a hit, and the visitors scored in six different innings. Lake Elsinore (4-1) got on the board in the top of the first inning thanks to a pair of Lancaster errors. The JetHawks answered, tying the game on a Ramon Marcelino home run in the second. Marcelino recorded his first two hits of the season. The Storm broke the game open with four runs in the third inning. Olivier Basabe and Jack Suwinski each went deep, and Suwinski added another home run in the seventh. Matt Dennis (0-1) took the loss in his first start of the season, allowing six runs (four earned) in 3.2 innings. Ronald Bolaños (1-0) gave up just two runs in five innings to pick up the win. Lancaster (0-5) added a second run in the fifth inning. Carlos Herrera clubbed his first long ball of the season, but that was it for the offense Monday. 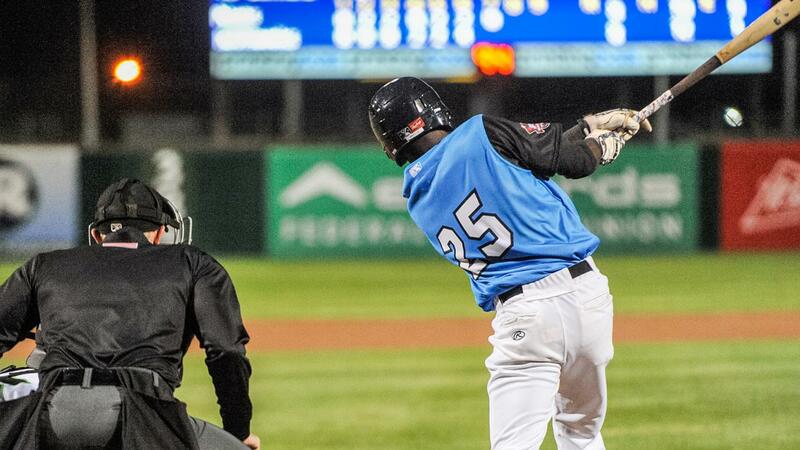 The JetHawks left 11 men on base and went 0-for-9 with runners in scoring position in the loss. The JetHawks have allowed 10 or more runs in three of their first five games. The team is 0-5 for the first time since 2010. The series continues Tuesday night. Will Gaddis (0-0) is set to make his second start of the season against Lake Elsinore's Aaron Leasher (0-0). First pitch is at 6:35 pm.